The instant classic for Xbox Live Arcade not only arrives for PC, but brings a level editor along with it. "Blow confirmed that the PC version—and, eventually, the Mac version—comes with an unannounced editor, allowing players to swap out graphics, sound and level designs. 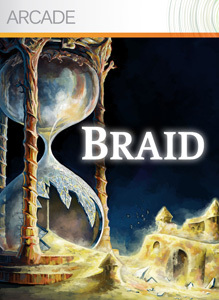 The developer says budding Braid designers can custom make "up to a full game, potentially" with built-in tools." Jonathan Blow is the mastermind behind the game and many with these tools, you can make an unofficial sequel to braid using these tools. Hope you guys make some cool levels with this!